Morouzos Beach (playa de Morouzos in Spanish) is a 2.8 km strip of sand which lies at the entrance to the Rias Ortigueira and Ladrido in A Coruña Province, Galicia, Spain. 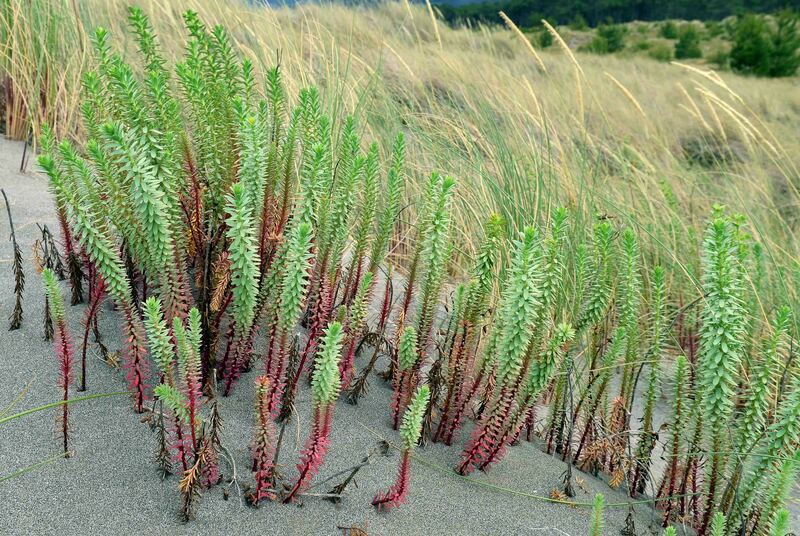 Behind the beach there are dunes and wetlands with many interesting plants and flowers. 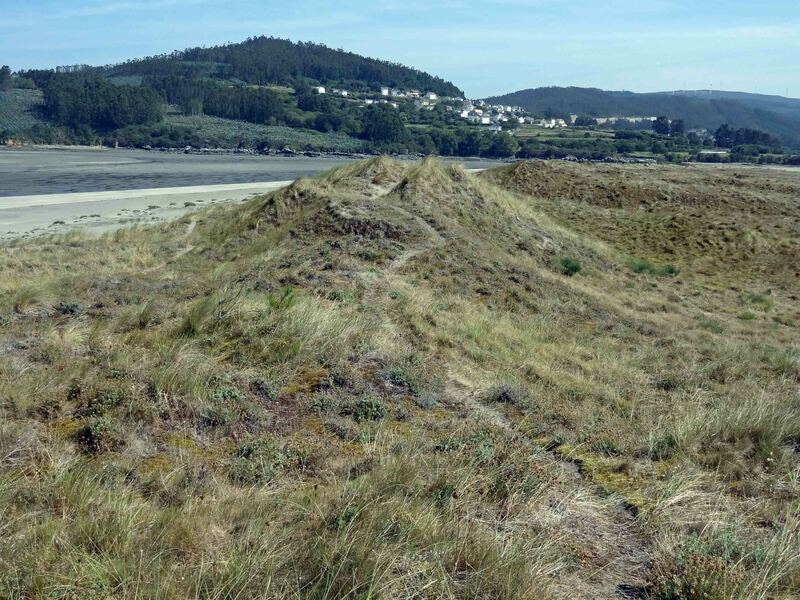 I wrote in a previous blog about the Ria de Ortigueira, but here I focus on the plants found in the dunes. This area is a Special Protection Area (SPA) – under the EU Directive on the Conservation of Wild Birds – known as ZEPA in Spanish. The sites near the ria get flooded regularly and the wetlands are listed as a RAMSAR Site – one out of a total of 74 such sites in Spain – which hopefully gives it some special protection (1). 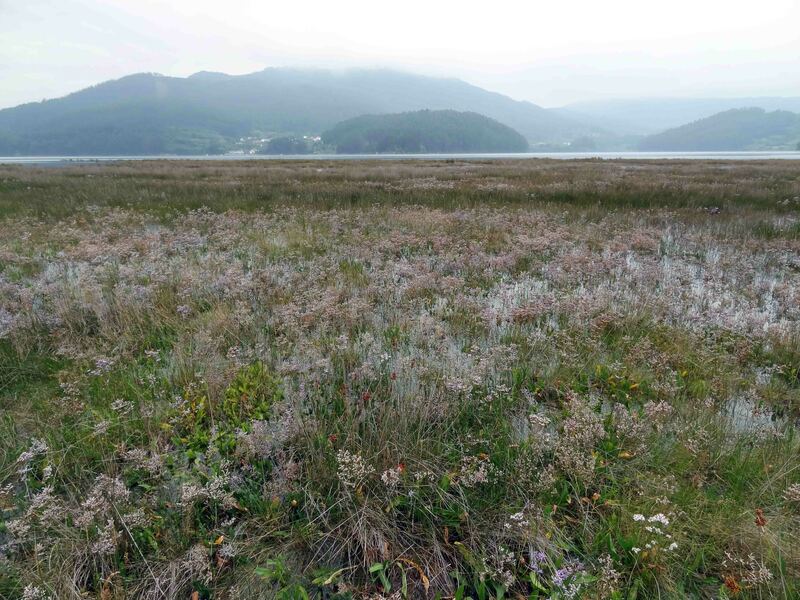 The Ramsar Convention is an international treaty that provides a framework for “the conservation and wise use of wetlands and their resources”. 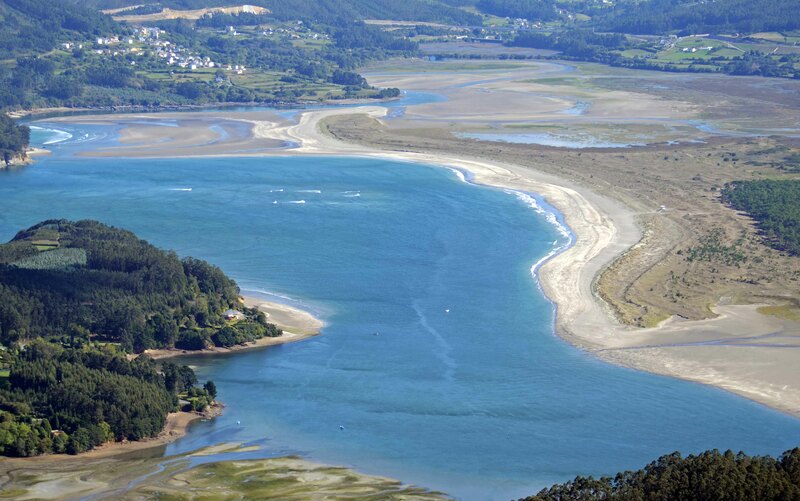 The Morouzos Beach (or Praia de Morouzous-Cabalar; Praia in Gallego = Playa in Spanish) area also includes a lagoon (called lagao San Martiño) which is a great site for dragonflies and damselflies. The water level is somewhat variable, but is generally accessible via the wooded walkways. There are a few ducks lurking in the lagoon, but they are very shy. The area is used for recreational purposes, such as dog walking and jogging, but people generally keep to the paths and for most of the year I would not say it is heavily utilised, at least not in my experience (apart from one week in July – see below). There are a series of paths through the dunes (as shown below). 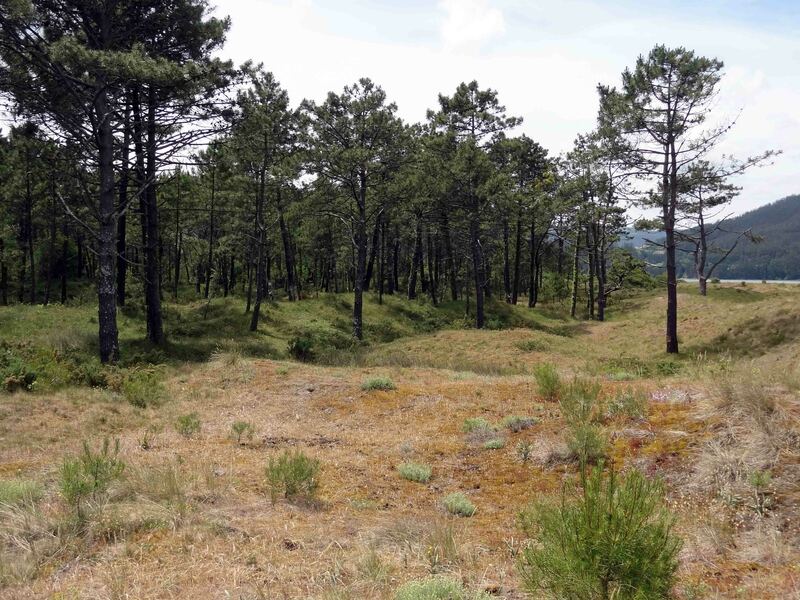 There is however, one exception, when the area in the pines behind the dunes is given over to camping during the very popular Celtic festival. The organisers do a very good job of cleaning up after this festival, but it seems to me that it must have an impact, particularly if the vegetation is very dry, as it has been in recent years. 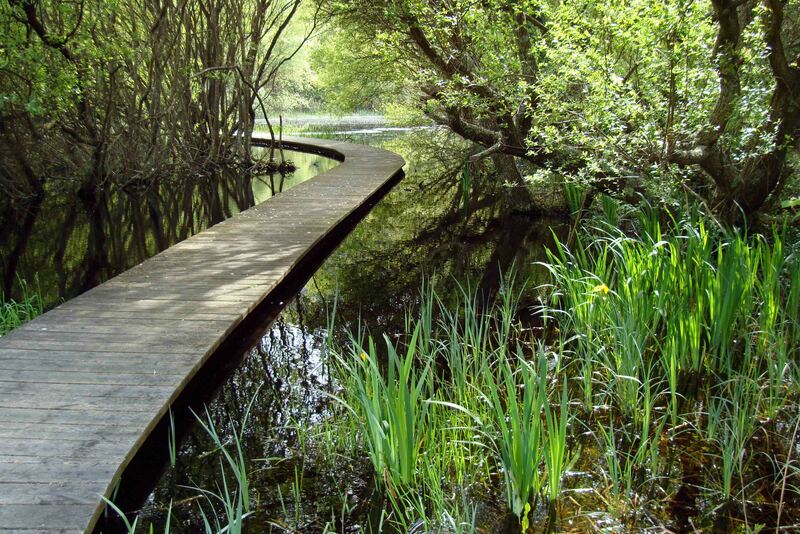 There are however, excellent amenities (toilets, showers, life guards in the summer) and a series of wooden board walks to protect the fragile ecosystem beneath ones feet. Nonetheless, the ecosystem is very delicate. Another disturbance noticeable in recent years seems to have been caused by the grubbing up of the top layer of soil and grass by feral pigs (wild boar) looking for food (truffles). People also appear engage in some collecting of these truffles – but they do not seem to have as much of an impact as compared to the pigs. 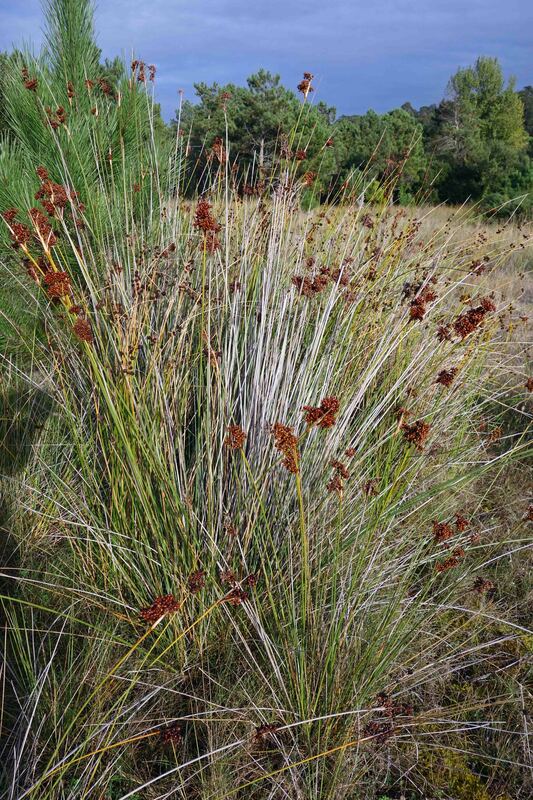 The wet or humid areas are covered with Juncus maritimos and reedbeds, sea meadows of eelgrass (Zostera marina and Z. noltii) lie in the wetter parts. 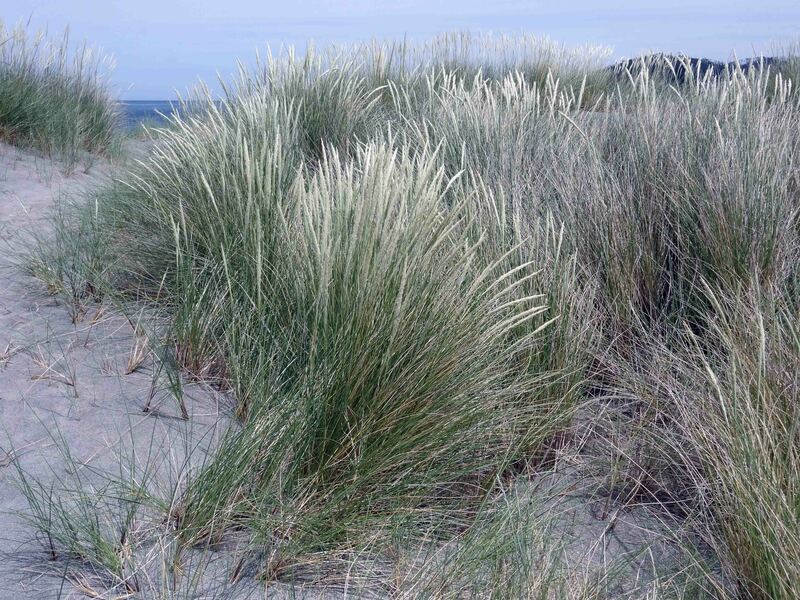 Vegetation associated to the dune system includes European Beachgrass (Ammophila arenaria), which helps to bind and stabilise the sand, and a variety of plants including Sea Holly (Eryngium maritimum), Sea bindweed (Calystegia soldanella) and Sea Spurge (Euphorbia paralias). 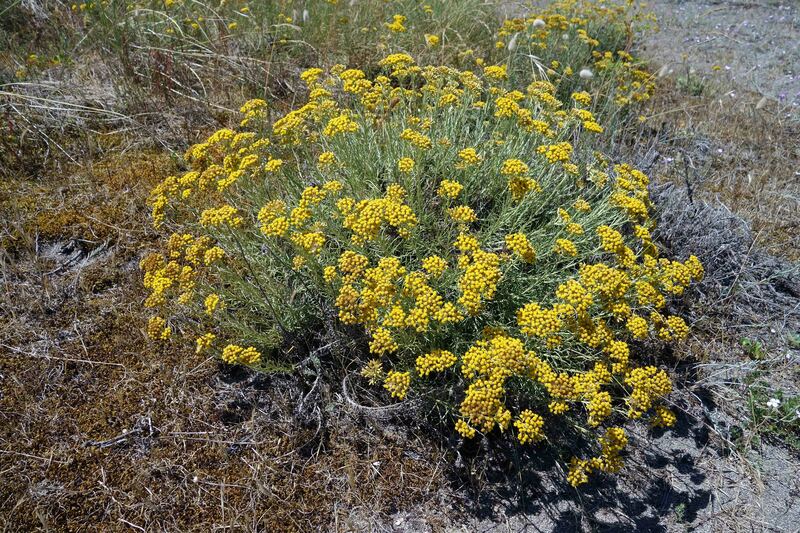 There are also clumps of various flowers in the dunes, such as the so-called Curry plant (silly name) (Helichrysum italicum spp serotinum) and Sea Mayweed (Tripleurospermum maritimum) to name just two. 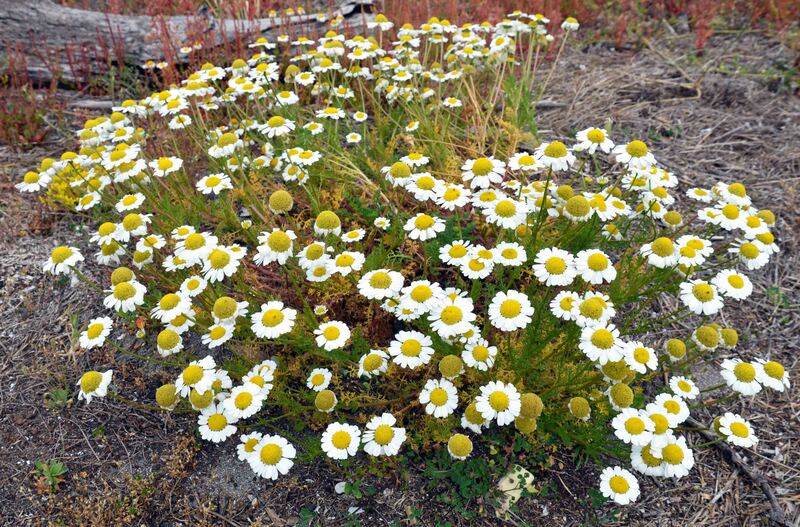 There are a large number of other plants, some of which are quite small and subtle. 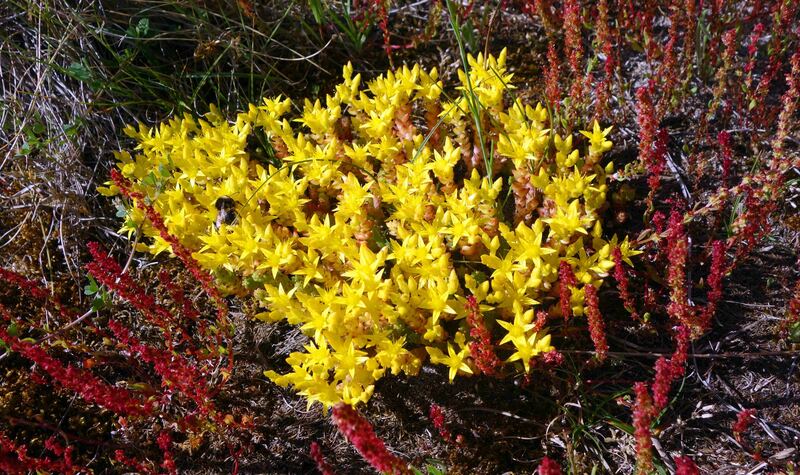 Others are common, such as Biting stonecrop (Sedum acre), but are only at their best at certain times of the year when they are in full flower. 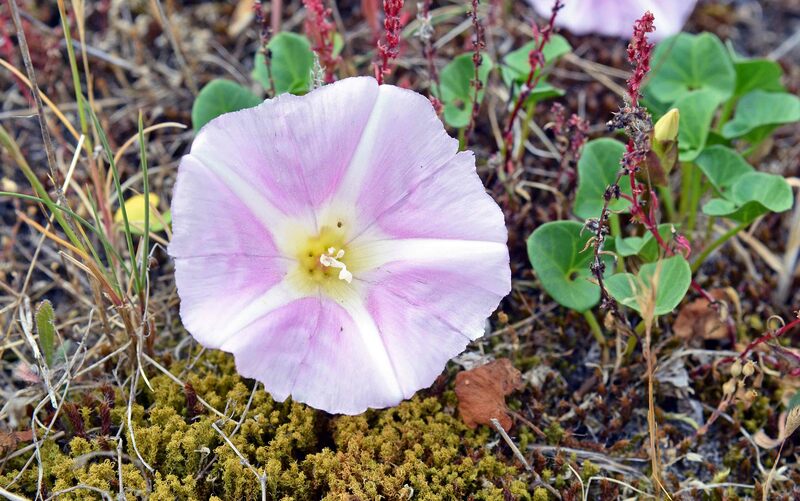 They give a gorgeous colour to the dunes. There are extensive coverings of sphagnum moss in some places but in recent years the vegetation appears to me to have become drier. 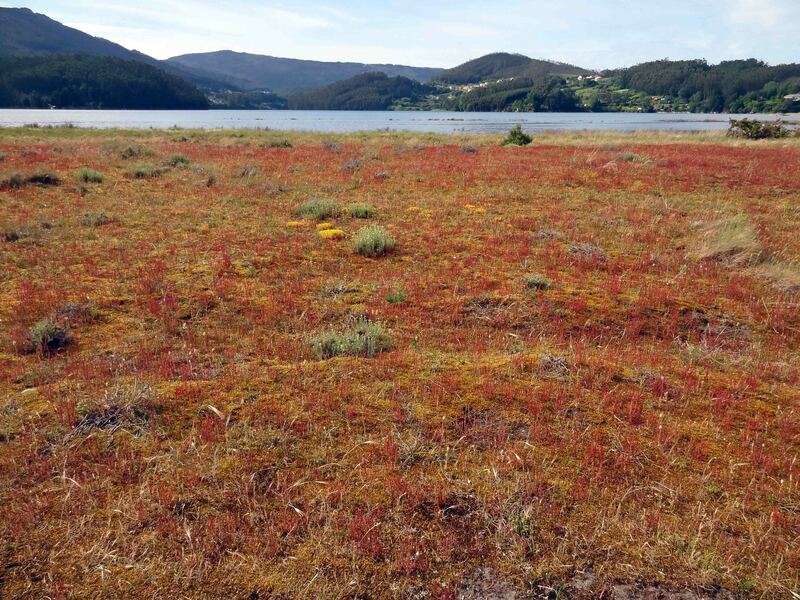 The ecosystem gets wetter after the winter rains, but there have been a series of relatively dry years, even in Galicia which is always wet! 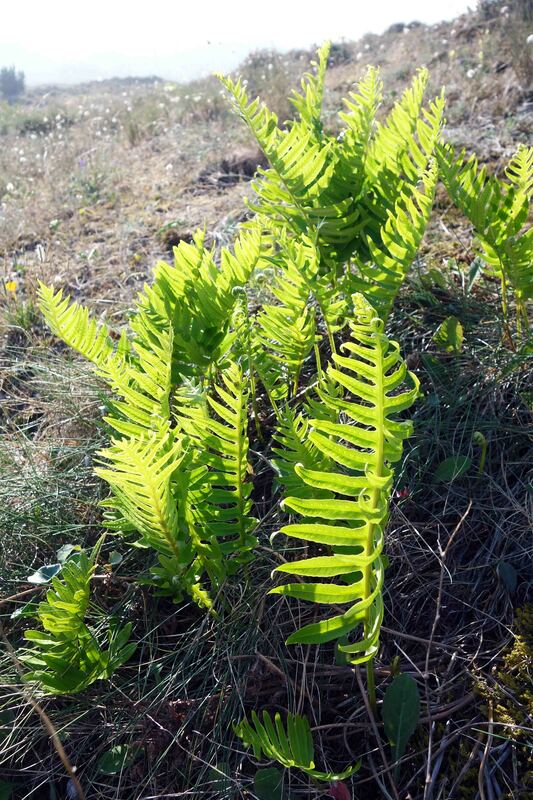 When I visited the site in October, there were a good many ferns to be seen in the dunes; not sure what species they are, but they look nice against the light! Ferns in dunes on Mozouros beach. 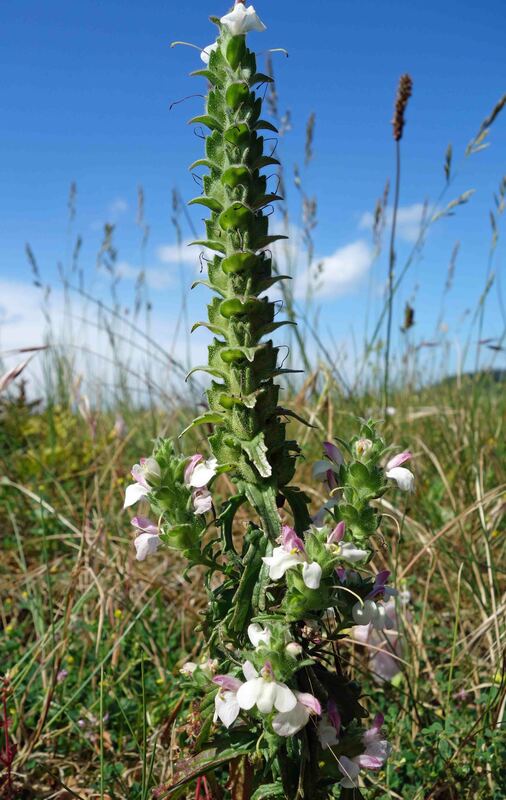 In June, Mediterranean lineseed (Bellardia trixago) is very common amongst the dunes. Duneland ecosystems such as this are subtle; they do not reveal all of their glories in one go and need to be visited time and again to get a full appreciation of their magic. They are however, vulnerable to disturbance and overuse. 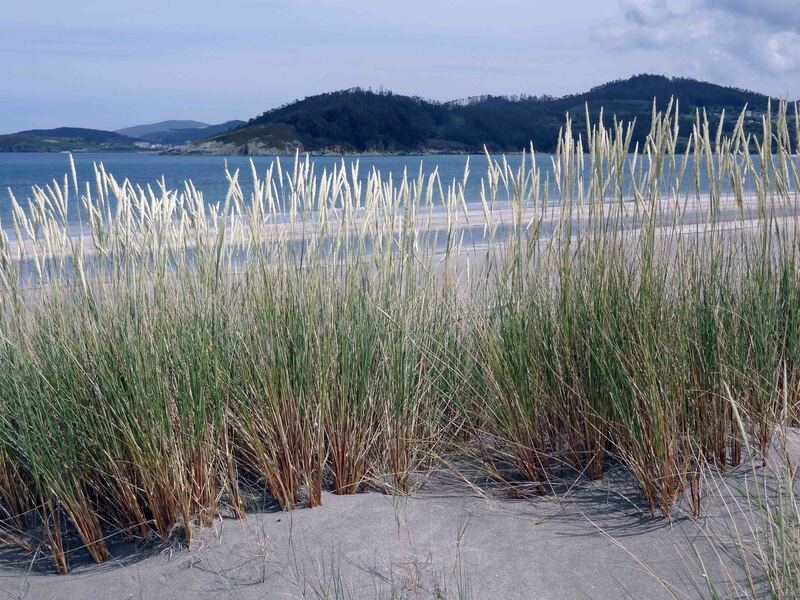 Morouzos beach gets a reasonable number of visitors in the summer, but like most beaches in Galicia, is never really crowded. In fact, on most days there are only one or two locals going for a walk or searching for a spot to enjoy the infrequent Galician sun. 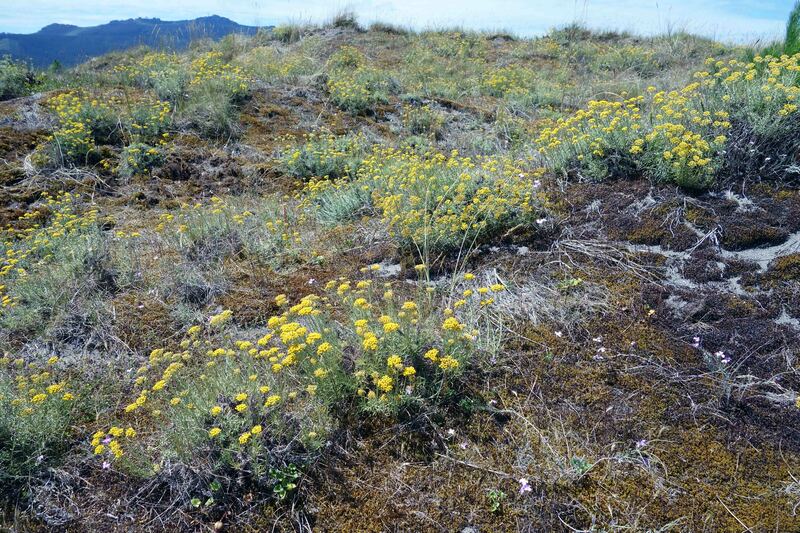 If treated well, and respected for its uniqeness, this little ecosystem will I hope continue to be appreciated by us visitors, and remain a home to the wonderful plants and animals that live there. My favourite place on earth, from Punta Herbeira (Serra da Capelada) to this awesome beach. Yo tambien..tengo a piso en Origueira..para vacaciones.